My husband and I took our first flight with our daughter when she was eight months old and flew again when she was just over a year old. We definitely intend to continue air travel with our precious little carry-on, but there are a few things we have learned. 10: Gross things will happen so just get over it now. My daughter loved licking the plane window and found a raisin to eat off the floor. We hadn’t brought raisins. 9: Anyone who plays peek-a-boo with your child on the plane better be committed to continuing the game for the remainder of the flight. This should be announced with the safety instructions before take-off. 8: Every time you go through security, the class clown of the TSA agents will say: “OK, let’s put the baby on the conveyor belt and you can carry the stroller through the gate.” Be nice and chuckle every time. 7: Take a copy of birth certificate to be safe, but you probably won’t be asked to show it. You don’t want to be asked to discard your child in the security line garbage can along with pocket knives and shampoo bottles that exceed TSA size requirements. 6: Check in online before your flight and indicate that you will have a “child on lap” or you won’t be allowed to board with the child. Keep in mind, the term “child on lap” is used loosely as your child will really be anywhere but on your lap: The floor, your shoulders, the aisle, and under the seat in front of you. 5: Your child will poop as soon as the plane leaves the ground. It doesn’t matter if you changed him or her immediately before boarding the plane. There will be poop. 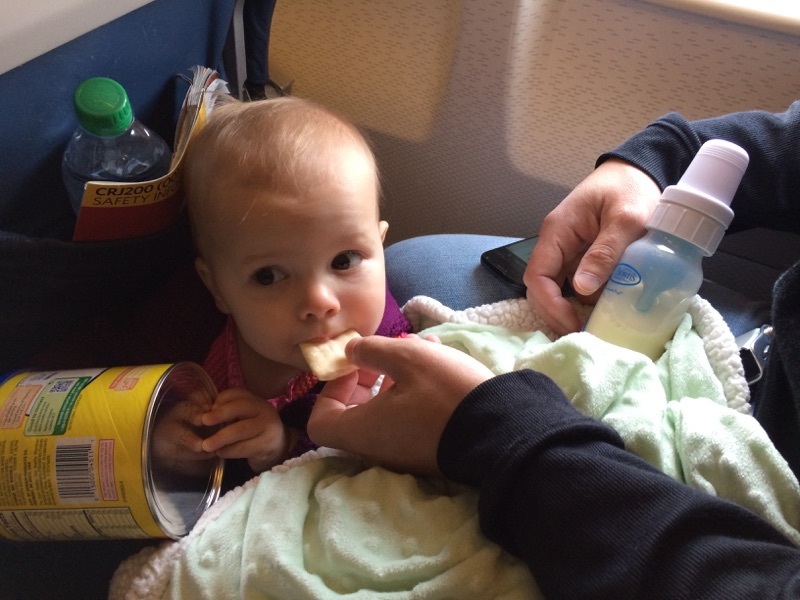 4: Most planes don’t have changing tables. This will necessitate you balancing your baby on the lid of the tiny plane toilet, desperately trying to remove a soiled diaper and replace it with a clean one without. touching. anything. 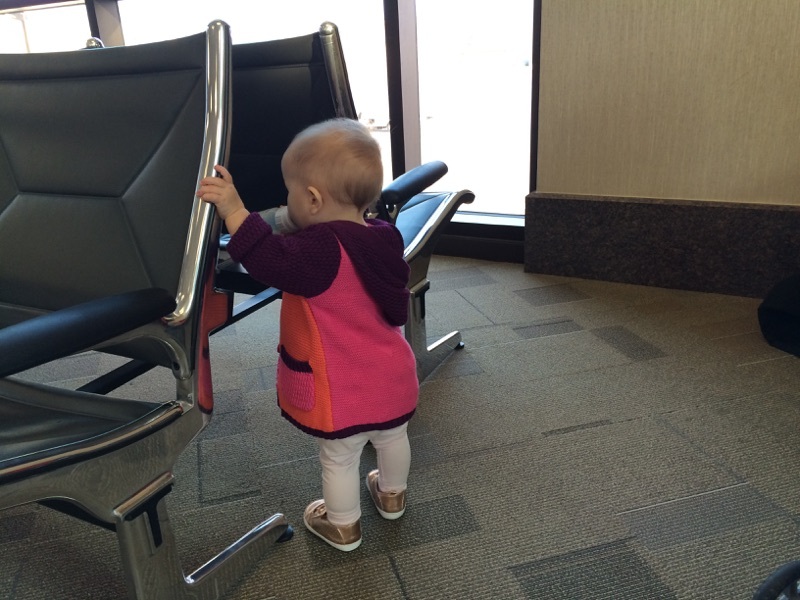 3: Take two things: A stroller and a diaper bag which doubles as your carry-on or purse. Make arrangements for everything else to be available at your destination. We rented a car seat from the rental car company and made sure to stay at a hotel that had portable cribs. 1: When it’s all said and done, the good times of the trip will outweigh the bad, and you’ll be ready to fly again a few months later.